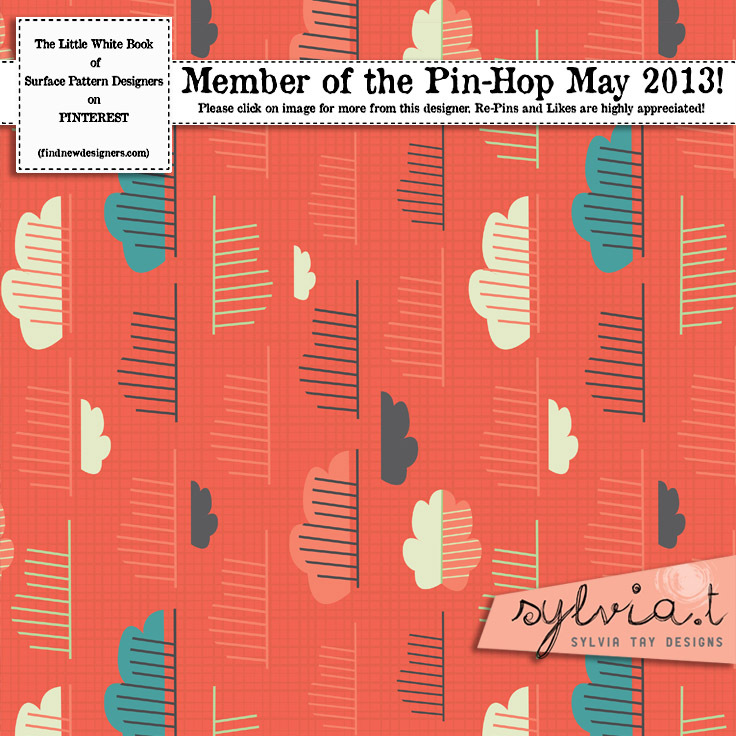 Welcome to Pin Hop June 2013 and I am really happy that you dropped by! 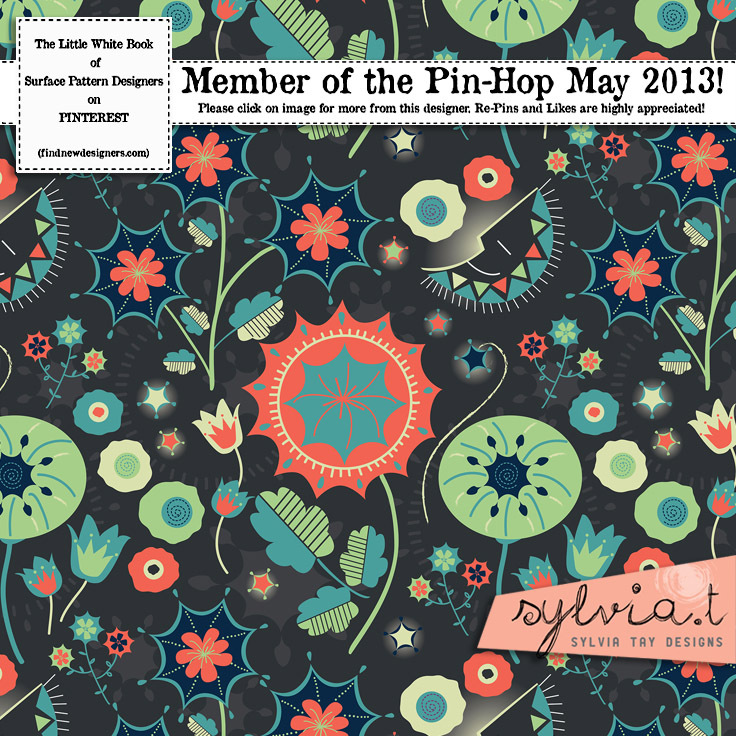 I have not been blogging for quite a while due to work commitments but this initiative organised by a fellow designer Tina Olsson from FYLLAYTA is too good to be missed… SO, after some extra hours of hard work with a few more cups of coffee, I came up with some new designs, specially created for this Pinhop! 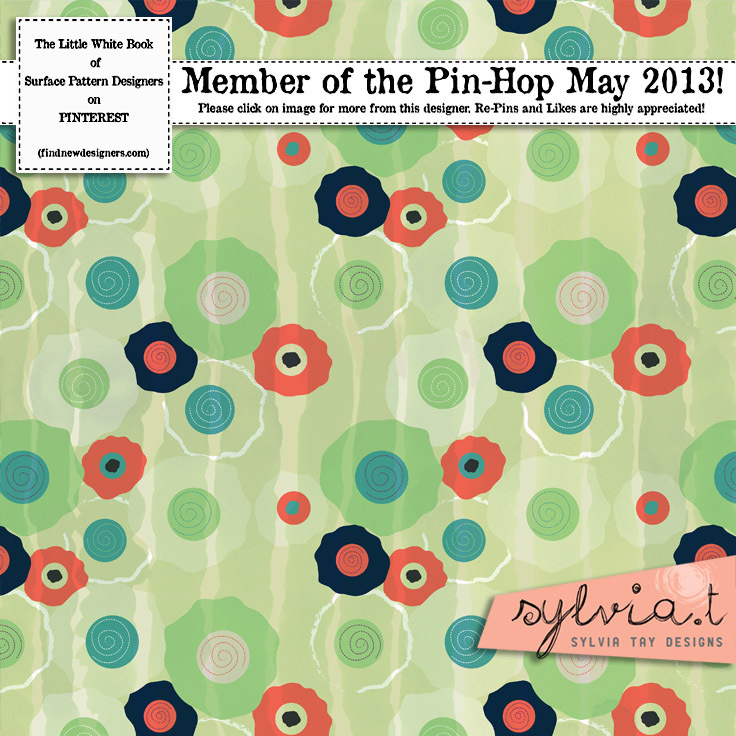 On the The Find New Designers – Pinhop June 2013 board today, you can find over 50 international surface pattern designers pinning their interpretations from 1 of the 4 pattern themes given. Through each pin, you can link back to the designer’s site to look at their wonderful creations. I’m hope you’ll have fun time “hopping” around! 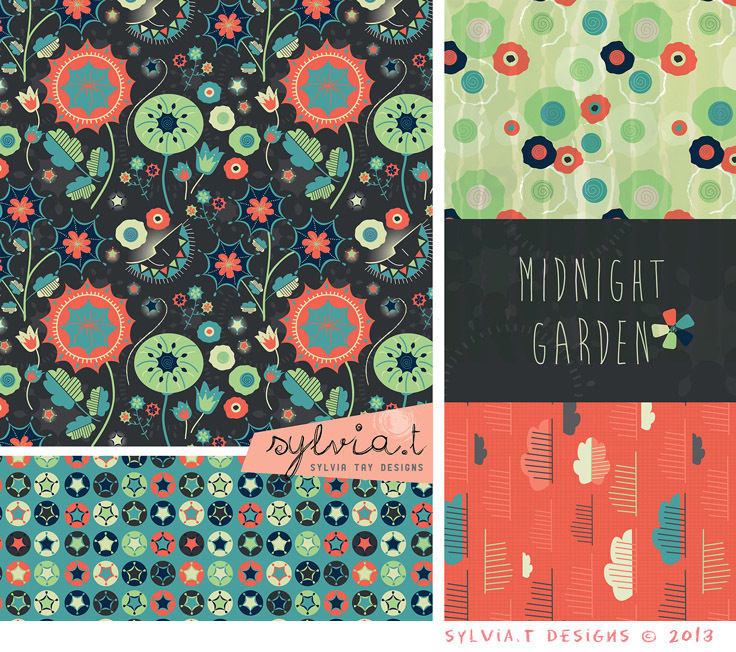 I chosed the “Midnight Garden” Theme from Patternbank’s A/W 2013/14 Trend Report for this Pin Hop. 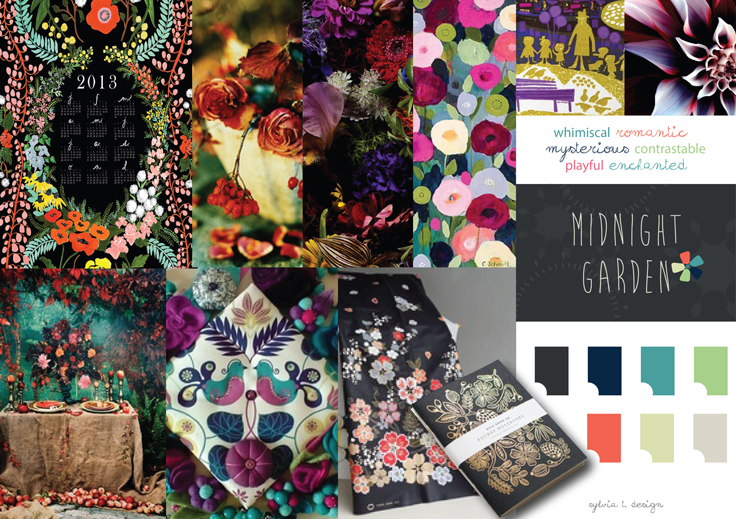 Here’s sharing with you, this mood board that I have put together for the brief. Source : My ” Styles and Trends of 2013″ Pinterest board. I had lots of fun working on this collection as I love the palette for this theme! It was my first time designing on such a dark background but I am pretty pleased with the contrast and the how the motifs turned out. This collection is designed for home and could also be used on paper goods. I do hope you like this collection and I would love to hear your comments or thoughts, if any. Moving on, please take a moment to look at the gorgeous work of Michelle Drew / Pattern and Co., I am sure you will love her works as much I do! 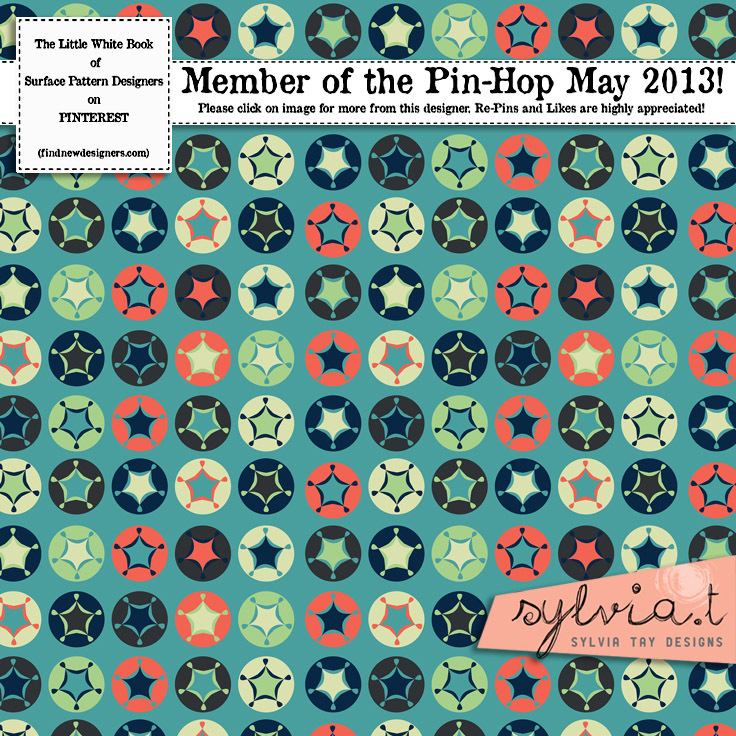 Enjoy the rest of the Pin Hop and thanks again for visiting my blog! Every piece is fantastic – love it so much! Great work!